God is bigger than our mistakes. His grace frees us when none of our actions could. Learn grace for yourself and others with this in-depth, 5-week study of Romans. How can you study Romans in depth in only 5 weeks? Partner up with a few other believers and divide the load. Discover the advantage of studying the Bible together. The “10 Steps to Approaching the Bible with Confidence” will teach you some quick tips for studying the Bible in-depth, on your own, and with confidence. Learn how to make good textual observations, interpret what you read, and apply it to see life change. This pdf book is FREE, so download it and get started. Dodge all obstacles, combat excuses, and start strong towards a lifetime of studying Scripture with excitement and deep understanding, because nothing grows our personal connection with God like time of prayer and Bible study. 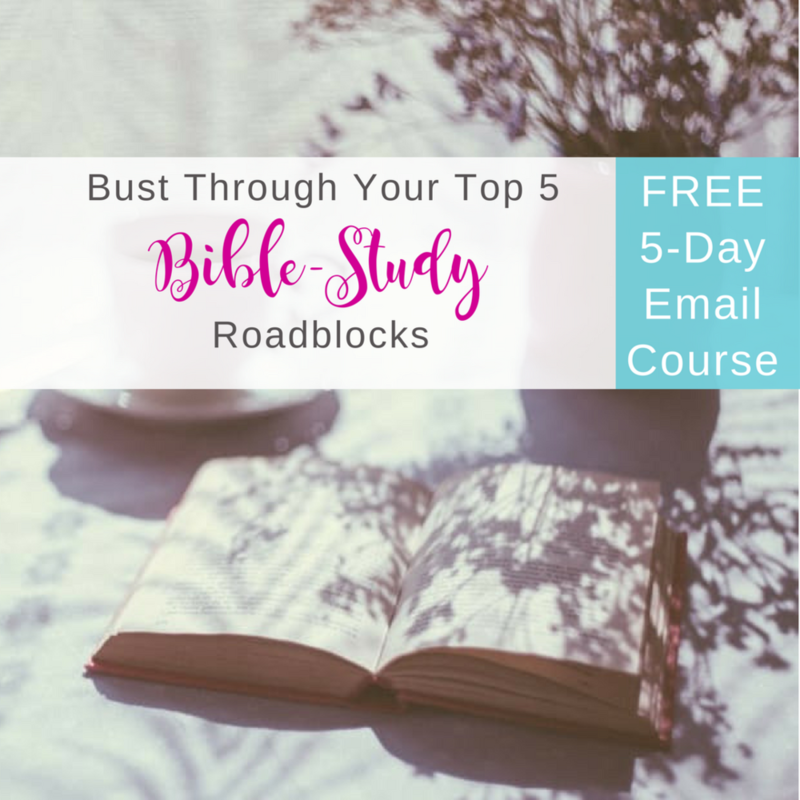 Pave the way for consistent and enjoyable time spend in Scripture with this FREE 5-day email course. Below are other recommended resources to help you grow in your spiritual walk through Bible study. Scripture Confident Living is an affiliate of these ministries, which means that your purchase of one of these guides will support both ministries at no additional cost to you. Thank you for your support! An alternative to secular goal-setting programs, Grace Goals explores a biblical approach to real life change. Through 5 workshops, this course teaches you to work in conjunction with the Spirit of God to fulfill the desires He has placed in your heart. This in-depth series on the Lord's prayer will not only revolutionize your prayer life but also deepen your understanding of God and other major tenants of the Christian faith. Enjoy a daily study guide, weekly group questions, and an article series on this blog. This 14-day course is designed to help you revolutionize your productivity, streamline your routines, invest your time in things that truly matter, and find more joy and peace in the process. Create a morning that is in line with your life.